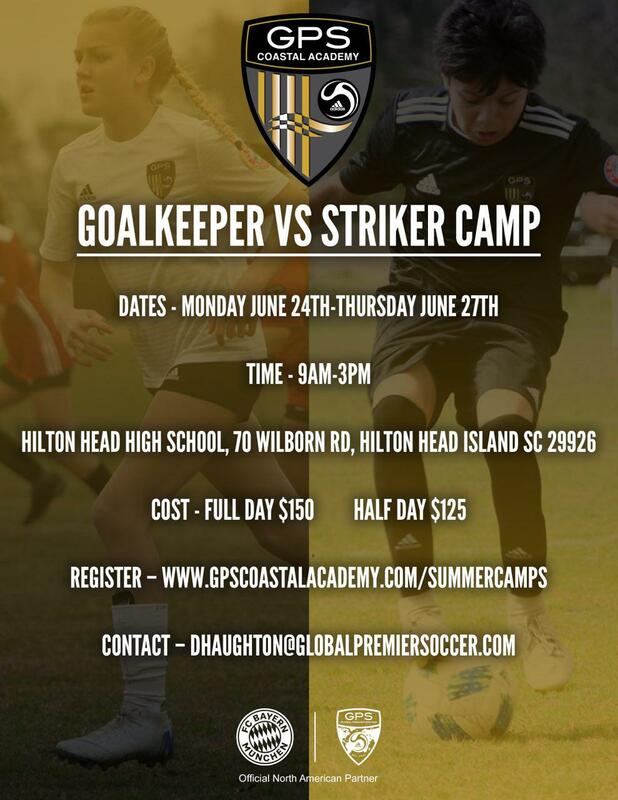 Welcome to the home of GPS Carolina Summer Camps in Beaufort, Ridgeland/Okatie & Hilton Head Island. Our camps are open to players of all abilities between the ages of 7 - 18 years old with the aim of encouraging young soccer players to develop a love of the game alongside impacting their development, vision, and understanding of the game. 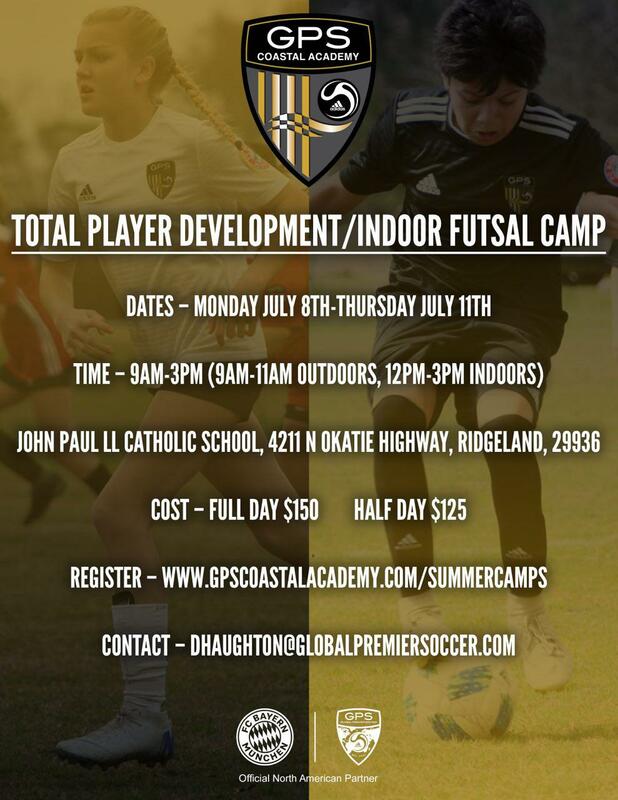 Throughout the summer of 2019, we will host a variety of themed camps, each theme is designed to teach and improve specific technical elements of soccer in a fun yet competitive environment. 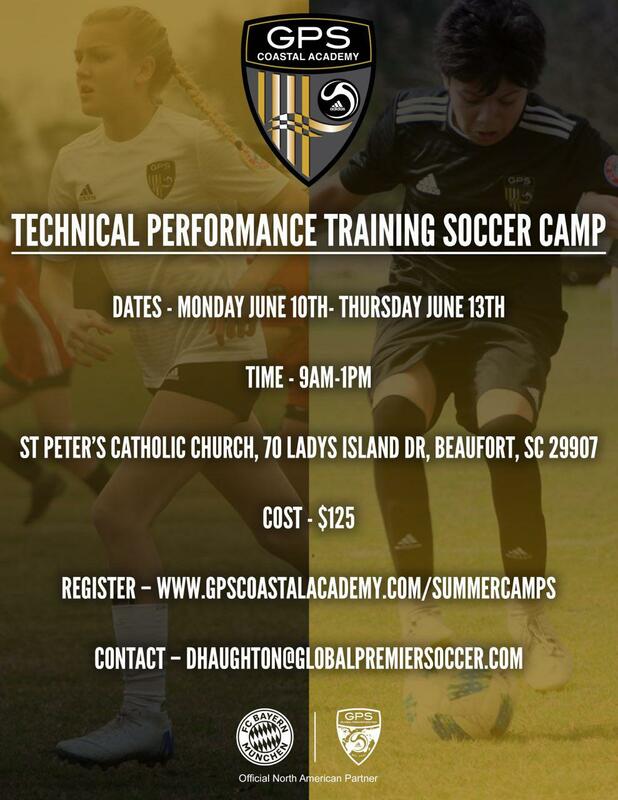 The Technical Performance Training (TPT) Camp provides specific training that incorporates speed, agility, and quickness while focusing on the player's individual technical ability. The TPT Camp will follow a vigorous curriculum that maximizes ball manipulation in a high energetic environment. The Goalkeeping vs Strikers Camp caters to all Goalkeepers from beginners to advanced. The Goalkeepers will go through a detailed curriculum, including shot stopping, basic handling, angle play, crosses/high balls, and distribution. Strikers and outfield players will learn the main techniques of striking the ball whether it be from long or short distances from the goal and various angles. Each player will be given the platform to perfect their striking ability as they will learn how to finish with different surfaces of their feet and use a variety of techniques to find the back of the net. 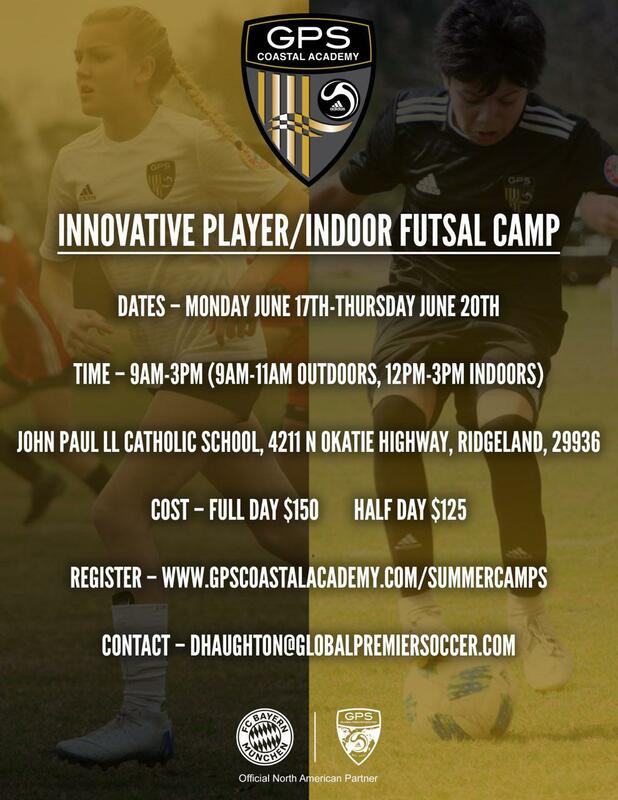 The GPS Innovative Player Camp is an extensive player development program designed to create players who can dominate in the four different 1v1 situations (face to face, side to side, attacking diagonally and back to opposition). Each session sees players learn skills in low pressure environments before our series of 1v1 exercises provide them game related scenarios in which they can apply and execute what they have learned. The Total Player Development Camp is designed with a holistic approach to teach the players about every positional aspect of the game, from goalkeeper through to the striker. The aim of the camp is to provide players with an overview of what is required from each position. By the end of the camp, each player should have a complete understanding of the different roles and responsibilities of each position. This is a challenging camp for players but one in which we feel will have a beneficial impact on their development, vision, and understanding of the game. ©2019 GPS Carolina / SportsEngine. All Rights Reserved.